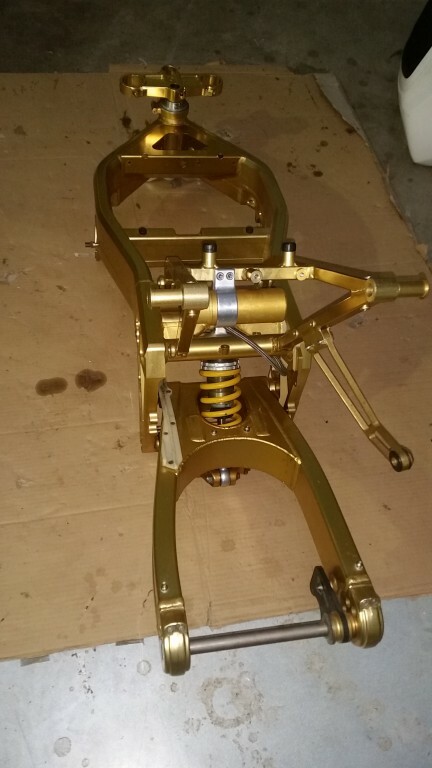 I've got a few YB8 projects on the go (1 roady and two race bikes), and as I'm posting some pic's etc on a Yamaha Exup forum, (which is nearly dead) thought I might duplicate here? I purchased this YB8 a while ago, and whilst it looks nice in the photos, I doubt it has ever had the fairing off, and been washed. I tend to get a bit carried away with my builds, but the up side is I know what I've got at the end. So now for some cleaning... Shock needs a replacement as it was leaking and airless. I'll look at servicing it at a later date. I have a good spare kicking around so that will go in. Body work is quite good, the state of it underneath was a bit of a surprise! With a bit of elbow grease not such a problem, though I feel as if I have spent a lot of time with my hands in cold water! However, everything is now looking like it should. 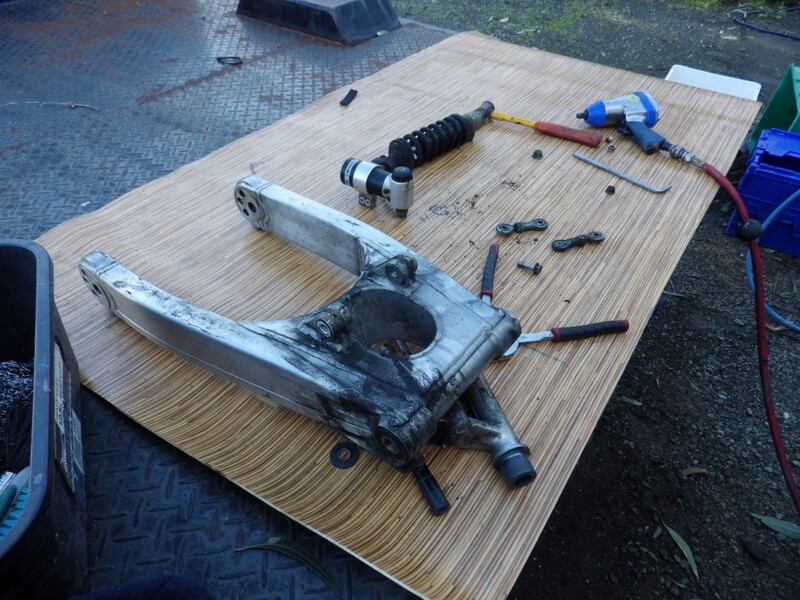 Unfortunately the bike took a hit in transit (high seas), and the rear sub-frame was toast, luckily I had a spare. The hammer is there just to motivate the parts! Clean enough to eat your dinner off. Yep the 41mm FCR's will make a large difference, especially with ram air. 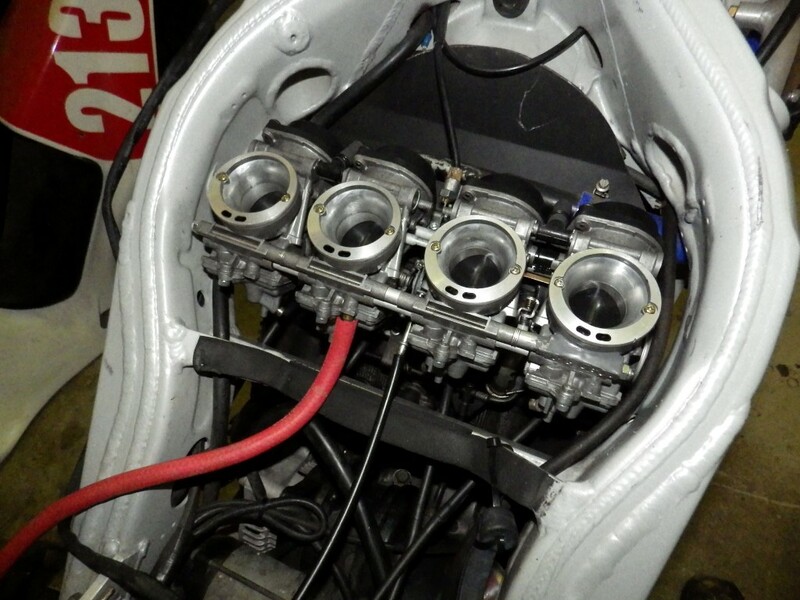 Injection Throttle bodies are 38mm, though you can machine them to 39mm or a bit bigger. (Edit: Talking throttle bodies because it is a Furano. though probably even more rwhp with a carb model.). Speaking of Bimotas... 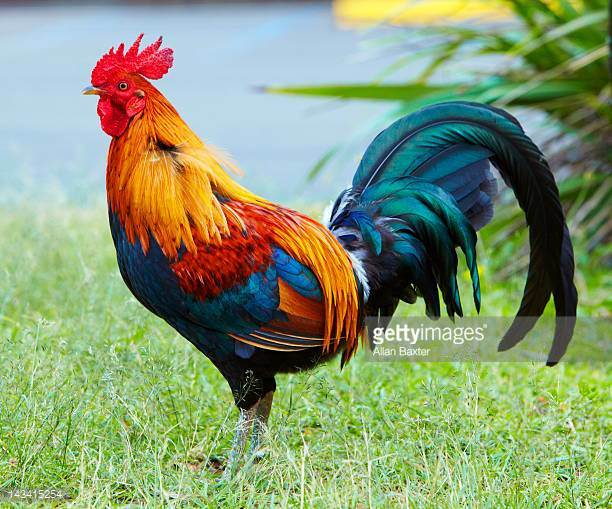 Check out this crazy rooster. I have 40mm flat slides on my Bandit (just Mikunis). Gave a bit more peak power. But on the road not sure I would bother. 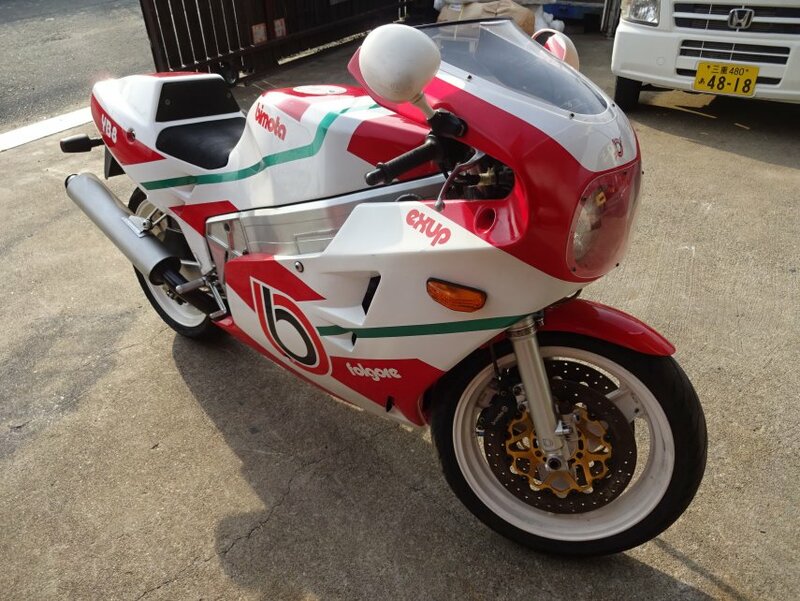 The gold Furano with the cutouts was a race bike. Hence the 41mm FCR's. I wouldn't bother using them for the road either Katy. Interesting tip regarding the BSDT 38mm Carbs, I'll have to add that to my notes! 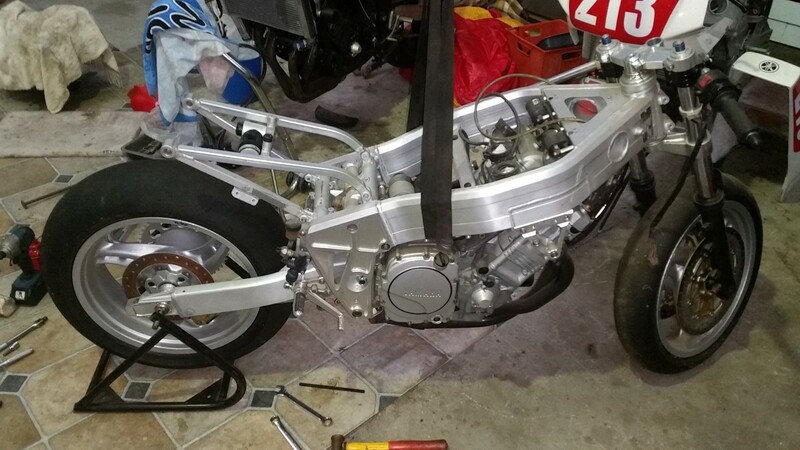 You have me worried now, as I was wanting to fit the next Bimota race bike build with the YB11 Bdsr 38mm carbs, and at some time respaced BDSR 41mm from the R1 which will give the performance of a 39mm FCR, with more power and no drivability problems. I just fitted respaced Thunderace BDSR 38mm to my FZR1000 genesis race bike, I'll have to check float bowl clearance on the YB6 before I do. 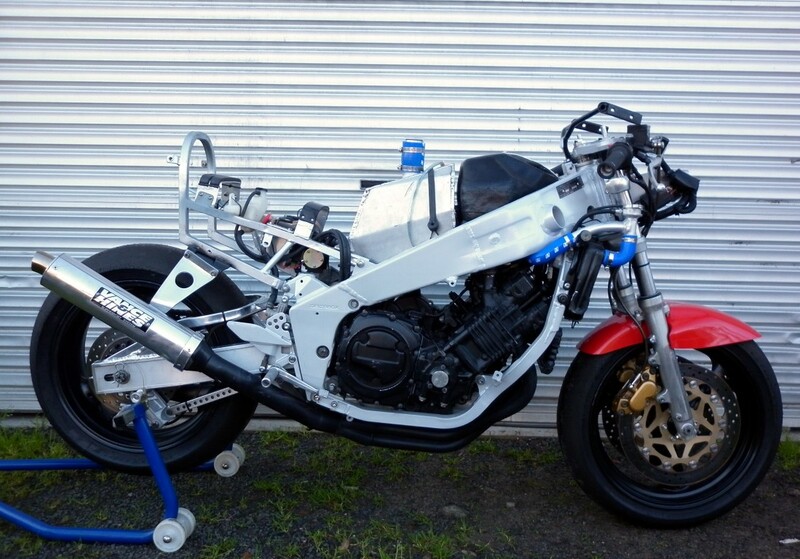 Here's a pick of the FZR1000 with the BDSR 38mm carbs fitted. 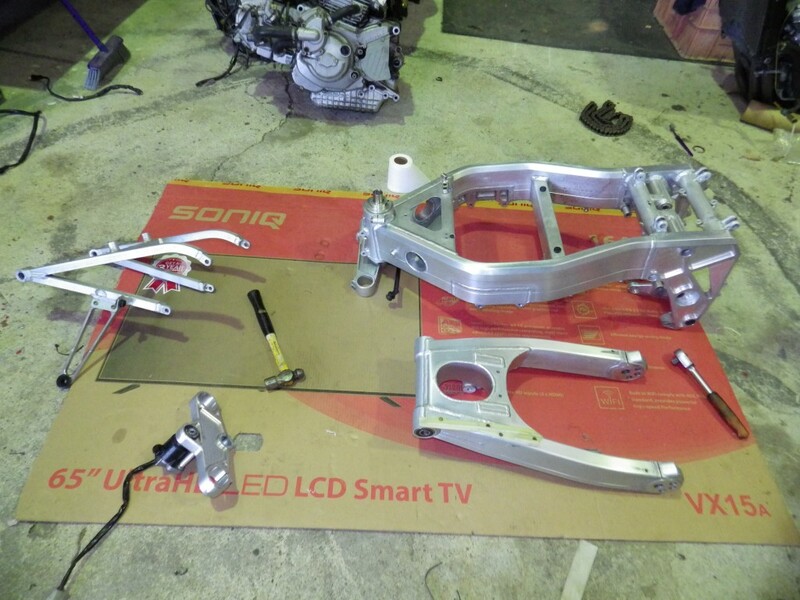 Not an easy fit up as I had to cut and reweld the race tank, and do various other jobs, airbox, inlet manifold widening, machine inlet rubbers, etc. These are old photo's, it is far further developed now. 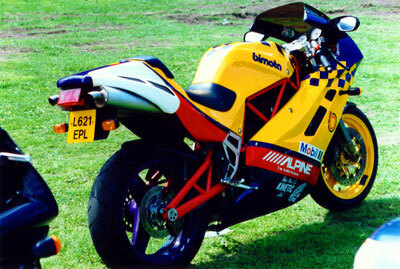 The EXUP Mikunis like on your YB10, were a chink in the amour for Yamaha. Not a good carb, prone to flogging out needles and emulsion tubes in few km's. 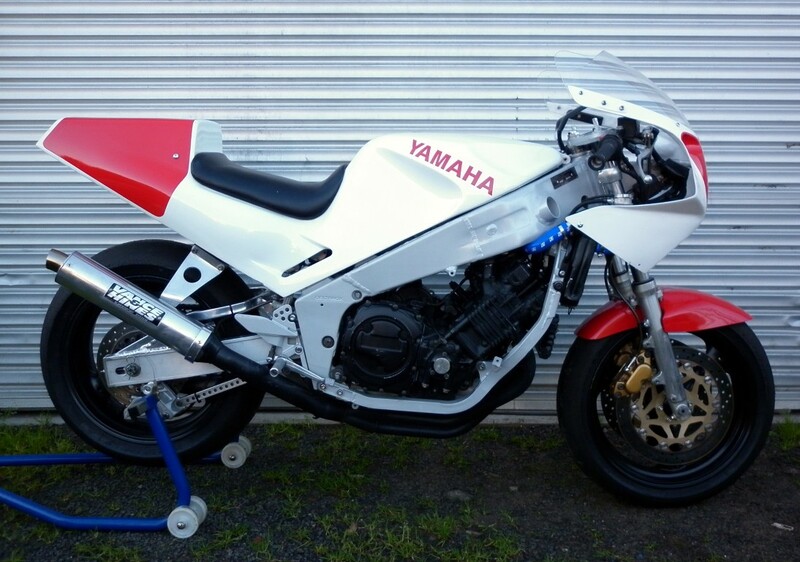 The FZR750RR OW01 were fitted with a variant of this carb, and that cost yamaha WSK victory on this wonderful homologation bike. Shame! The Mikuni BDSR 38mm fitted to the YB11 is the little brother of the R1 carb, and again an excellent carburetor, that offers good power and reliability. 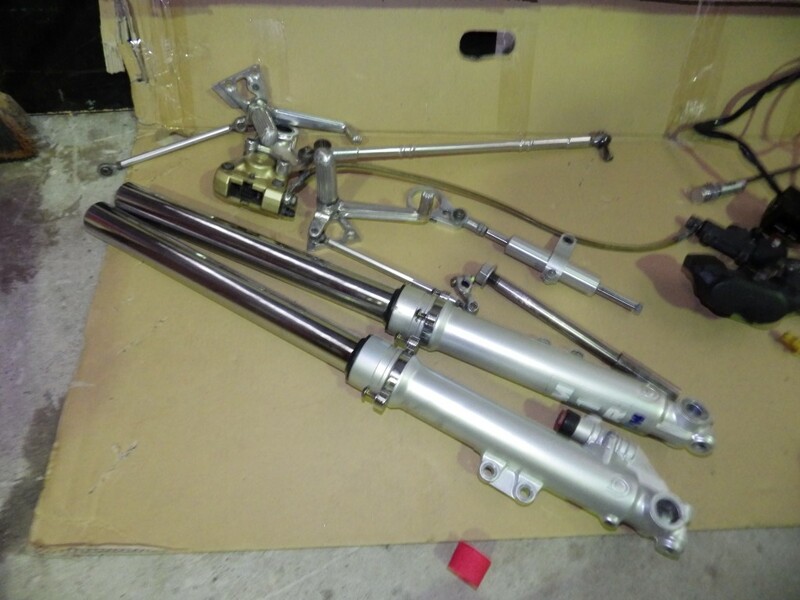 They also offer about 4 peak rwhp. 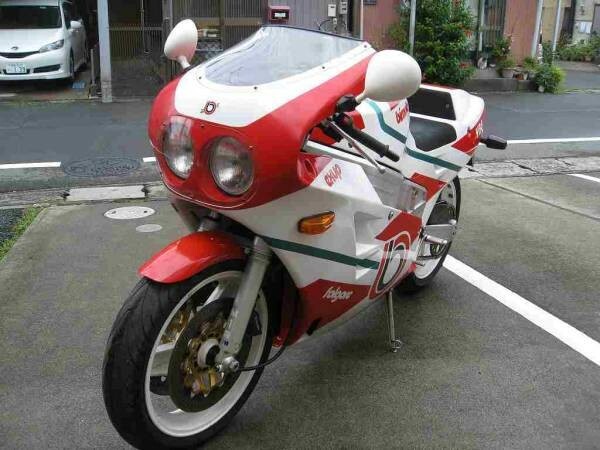 You will notice the bimota influences on the 88 FZR1000 build! 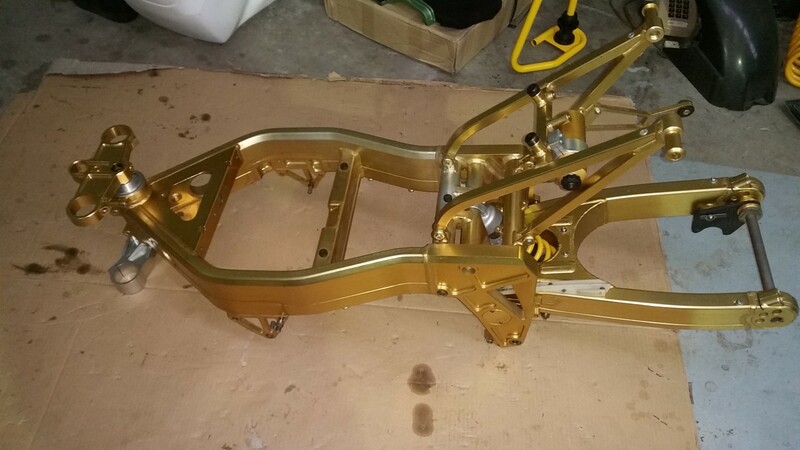 WOW , I thought the gold frame was bright , but that body work is urm , Interesting !!!!! Certainly wont get lost on the grid in those colours !! 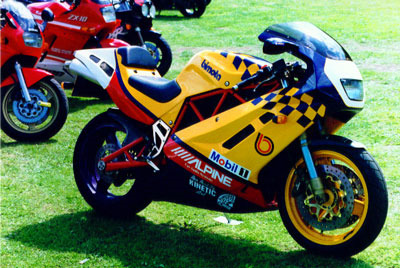 Are you having leathers made to match the 80's theme ? 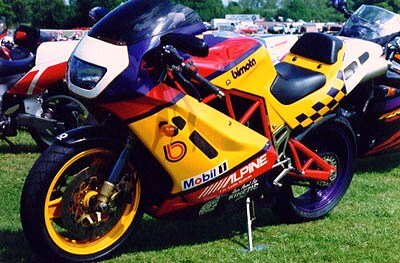 The anodized frame must have been a bit of a trend for Bimota race bikes. 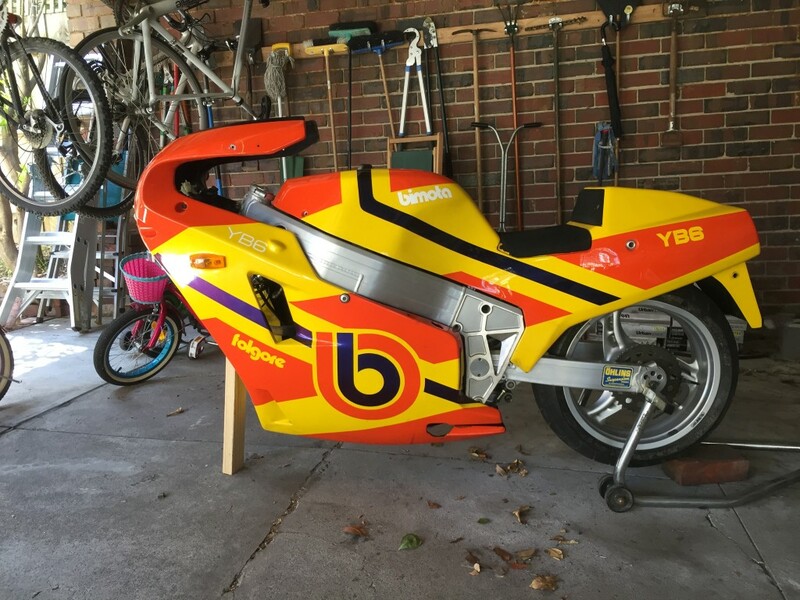 I've seen another race YB8 with a red ( well actually pink now ) anodized frame and swing arm etc. The road bike certainly seems a bit of Dr Jekyll and Mr Hide , nice on the outside but a monster underneath !!! 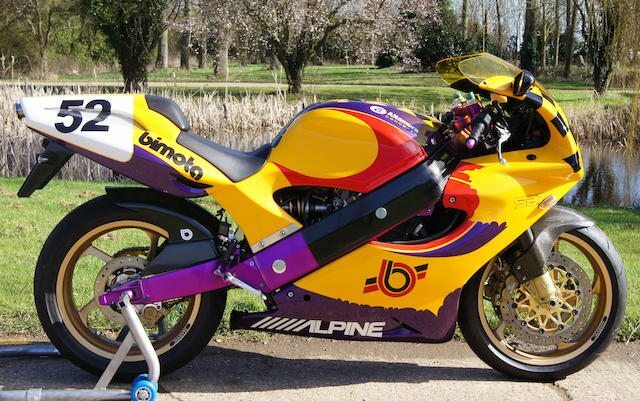 2bims , I remember playing the MCN 'spot the ball' competition to win that bike, and TBH I love that paint scheme. There was a race SB7 and a tesi in very similar paint. 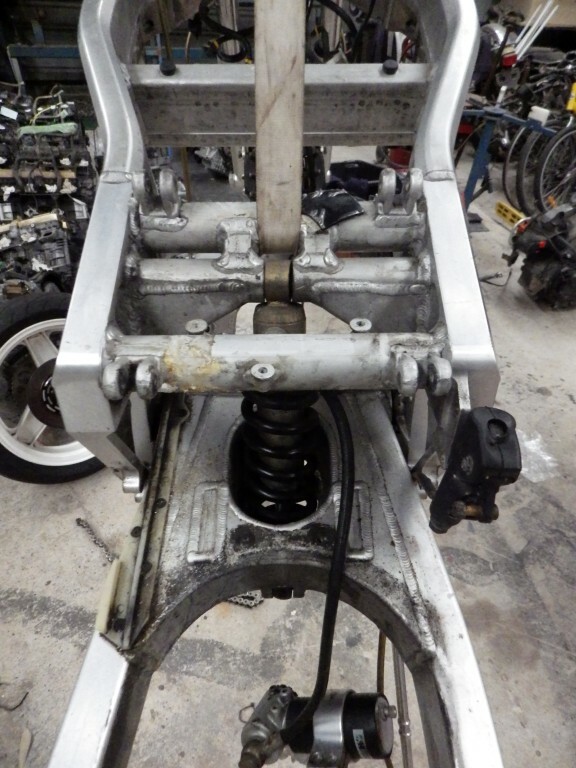 Obviously GK had the tesi but the sb7 has disappeared, was in Bonhams auctions a few years ago but missed it. I did say checkout this crazy rooster?